Since 2007 Crystal Peaks Youth Ranch has been regularly hosting an event that we call “Barn Fellowship.” It’s an opportunity for our session kids, ranch families and community to take part and join us in fellowship. This was created to serve a greater need. Although we’ve been successful in building an atmosphere of growth for youth, we recognize the need ​to provide ​more opportunities to serve the family as a whole. The Barn Fellowship is an opportunity for families to connect by sharing a meal, engaging in worship and listening to a powerful message of the Gospel—all shared in a ‘cowboy church’ environment. Ranch Fellowship started long ago​...Read More as a small handful of families. Today, it has grown into an attendance that—at times—reaches over 400 people. When the weather is warm, our grassy hill can handle the crowd. But we live in cold country and when we must meet indoors our current barn can only safely hold 125 folks. This has created a wonderful problem . . . we simply do not have enough space for all who are attending. In addition to Barn Fellowship, the Ranch hosts two annual Similar Ministry events. Each of these conferences host up to 125 people from around the world who are either actively running a ministry similar to Crystal Peaks or are interested in the mechanics of starting their own ministry. Currently, our clinic graduates have started 200 new ranch ministries across the United States and worldwide. From Canada to Florida, New York to New Zealand, Ohio to India and beyond, you can find a Similar Ministry on our website. (Find more on our website.) As each of these events continue to increase and the message of Hope in Jesus goes abroad—we’re in GREAT need of a larger place to gather. Today, Crystal Peaks requires an expanded building where more ministries can come to develop, learn and grow together. You can learn more about the Similar Ministries program here. In His goodness, the Lord has already provided space for us to invest in a larger meeting hall. Across the street on the West Ranch property lies an old 10,000 square foot Dairy Barn. 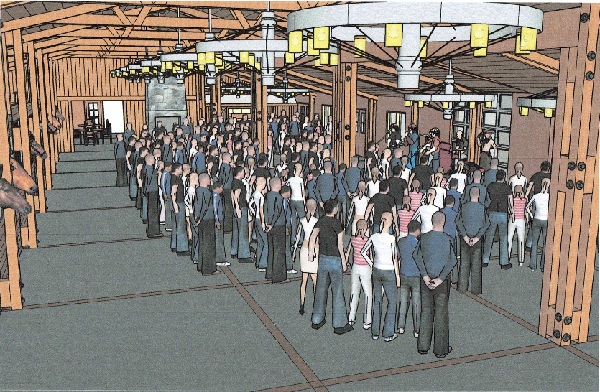 Perfect for remodel, our strategic plan is to turn the 70-year-old barn into the new “Big Barn Conference Center.” Our project team has formulated a plan for the remodel and the design will safely accommodate up to 400 people. Thank you for keeping the ranch close in prayer and thought. Thank you for considering all that He is doing here and how you might choose to be a part. Crystal Peaks Youth Ranch is a ministry born out of pure challenge, having been built within a cinder pit. What He has done here is truly... miraculous. Our passion is that Jesus would continue to express Himself in everything we do. 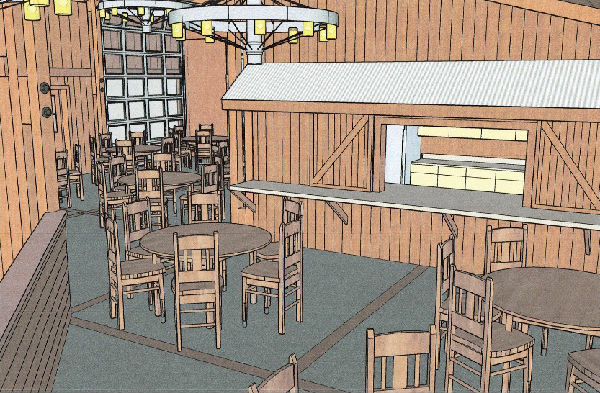 We have an opportunity for you—our extended family—to involve your hands from afar in the remodel of the Big Barn. If you would like to HELP and be a part—donate now here!